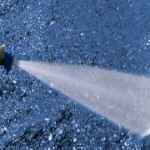 Sunburst offers a commercial power washing service direct to your business. 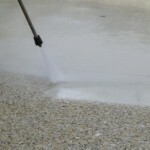 Our professionals provide commercial pressure/ power washing services for Atlanta and the surrounding Metro Atlanta area including North Atlanta, Marietta, Kennesaw, Roswell, Alpharetta and Woodstock and in Cobb, Cherokee, Fulton counties. 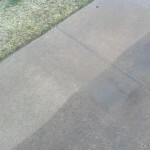 We use 200°+ water power washing equipment with eco-friendly detergents to refresh concrete, brick, stucco, siding, shutters, parking lots areas, dumpster pads, tarmac, decks, patios, sidewalks and driveways. 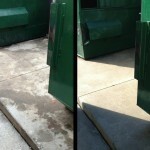 Please contact us today at 770-226-4786 or cleanit@sunburstev.com for your free consultation or quotation. We are your first choice for commercial cleaning solutions! Proper preventative maintenance such as commercial power washing to every parking lot and garage promotes longevity and eliminates unnecessary repairs. Removal of loose dirt and debris from surface areas on a regular basis and with our Sunburst industrial power washing process, your striping will last longer with less chipping and grinding.